In many locations, process and natural gases must be cooled to protect facility equipment or for liquids removal. In many locations, high ambient conditions prelude the use of traditional air cooled solutions. 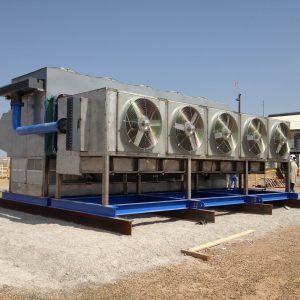 Our innovative EcoCool process gas cooler allow process allows gas to be cooled to well below the ambient dry bulb temperatures and cooler than traditional direct evaporative coolers.